Angeles is proud to offer a growing assortment of durable, innovative furniture, storage, active and dramatic play and rest products for early childhood classrooms worldwide. Angele started with just one man, Claude Tindell. In 1958, Claude began building tricycles and selling them school-to- school from his station wagon. 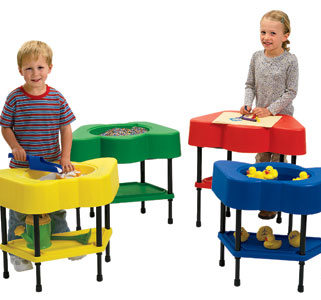 He madeAngeles a success by promising quality, durability and lifetime service.That combination of personal attention and commitment to quality is what continues to make Angeles a leading name in manufacturing for the early childhood classroom.